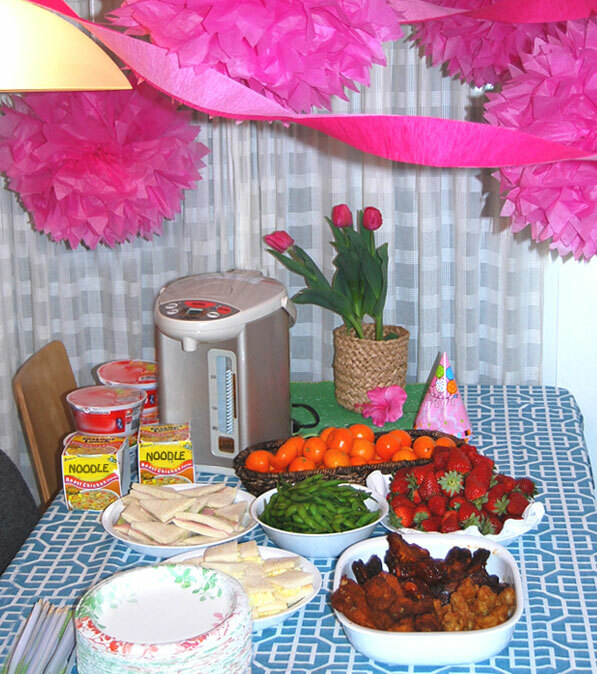 So recently we threw a sleepover party for my daughter with 6 of her friends, to celebrate her becoming a “real teenager”. Wow, that’s a scary thought, right? Wait–are we talking about the party, or the fact that she’s now a teenager? Anyway, we decided to have all of her favorite foods—chicken kara-age, Japanese style finger sandwiches, edamame, fresh strawberries, “Cuties” (the tiny tangerines) and…instant udon! And what I realized is that we take for granted that we have hot water at our disposal anytime with our water boiler. It obviously becomes very important in situations like this, and I wondered what we used to do before we got one. We don’t have to worry about boiling the water for the girls, and they can serve themselves to hot udon or ramen even in the middle of the night! What a concept! Our family drinks a lot of green tea, so I have our boiler set at 195°F so that it’s just hot enough to brew the tea without scorching the leaves. That’s still hot enough for instant noodles anytime of the day, and my kids use the hot water to make hot chocolate during wintertime. Since I’m picky about my coffee, I like to use boiled water right off the stove and drip brew. But my wife, who likes to drink those instant cappuccino mixes, uses our water boiler to stir up a steaming cup of café au lait without even having to put on the kettle in the morning. I am a firm believer in the importance of readily available hot water. Just so you know, the sleepover was for exactly 13 hours because it was her 13th birthday. We played a game where the girls had to answer 13 questions about our daughter, and we gave away 13 prizes. It was a fairly manageable night for us parents. Girls aren’t as noisy as boys. When my son was 12 years old, we made the mistake of inviting 12 of his friends to a sleepover. That night was a horror story that I’ll save for another day—we did not have hot water available for a bunch of 12-year-old boys. Dear friends, it is a pleasure to be celebrating yet another summer with you! School is nearly out and the season for grilling, long hikes and beach BBQs is upon us. We have had such a wonderful time packing up our stainless mugs and stainless lunch jars to enjoy lunch outdoors, on the beach or in the mountains. This is a great time of year for fun in the sun. While we do hope you will have plenty of time to eat, drink and be merry, we also hope you’ll find some time to rest and relax this season. There’s nothing quite like warm June sunshine to get one in the mood to sit by a pool and do absolutely nothing, eh? And that’s where we come in — our line of rice cookers and gourmet products is here to simplify your life. We hope that by being able to throw meat and veggies on our gourmet grills and roasters, dinner might be that much simpler. Between Zojirushi products and all of the fresh, seasonal produce available this time of year, we have no doubt that you will be eating well all summer long! As always, we encourage you to shop local and shop fresh. Local and seasonal ingredients are the secret to tasty & healthy food. Whether you plan to spend your summer traveling, hiking or doing nothing on the beach, we will be there with you every step of the way. Here’s to a long and happy summer filled with good food, family and great friends! Cheers! Anyone here ever been to a traditional style Japanese wedding? Don’t expect white dresses, white cake and bouquets! A traditional Japanese wedding is a magical and beautiful ceremony that is nothing like its western counterpart. The traditions involved with a traditional Japanese wedding are what make this a beautiful event to participate in. For starters, you can trade in your white gown for a beautiful kimono. That’s right, Japanese brides often don layers of fine silk in the form of a traditional kimono that’s tied so tight, a trip to the bathroom would not be an easy feat! 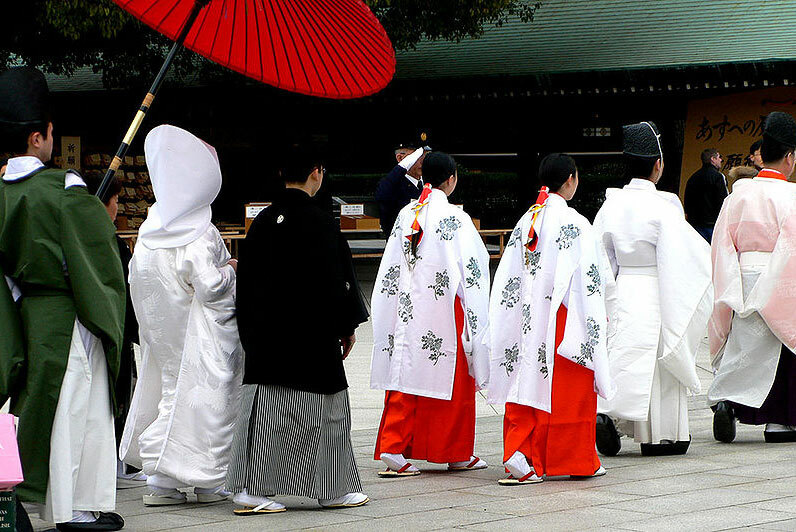 Brides are given a tsuno-kakushi which is a white headdress to wear. Their faces are painted white like a geisha to signify their maiden status and their feet will be elegantly covered in white tabis that are a kind of fancier sock! Japanese weddings can take hours upon hours between the traditional Shinto ceremony to a long kaiseki style dinner, and then of course dancing and singing. A drinking game of rock, paper scissor might also serve as a way to bring families together. If you happen to catch the groom drinking from a small cup he’s sipping sake to ‘seal’ the marriage vows. While the traditional style weddings have been the norm in Japan for thousands of years, more and more couples are opting for western style weddings – some even have both! With the western idea of what a “perfect” wedding should be, what do you think about the traditional style wedding? Would you like one? Let us know! The word origami means paper folding in Japanese, and that is exactly what it is. The ancient art of paper folding or origami has been around since the 17th century. In the mid 1900s, origami popularized outside of Japan, and it has been picking up steam ever since. Today American book and craft shops are filled with how-to books on origami with themes like flowers, dinosaurs and even dolls! Just remember that for it to really be origami, it must be sculpted through folds and nothing else. No cutting or gluing accepted! There are certain folding techniques that make up most sculptures. The most basic figures will all start out in almost the same way. While you can fold any square sheet of paper in the style of origami, traditionally origami is made out of origami paper. Origami paper is usually small in size, high in quality with beautiful designs on ether side. 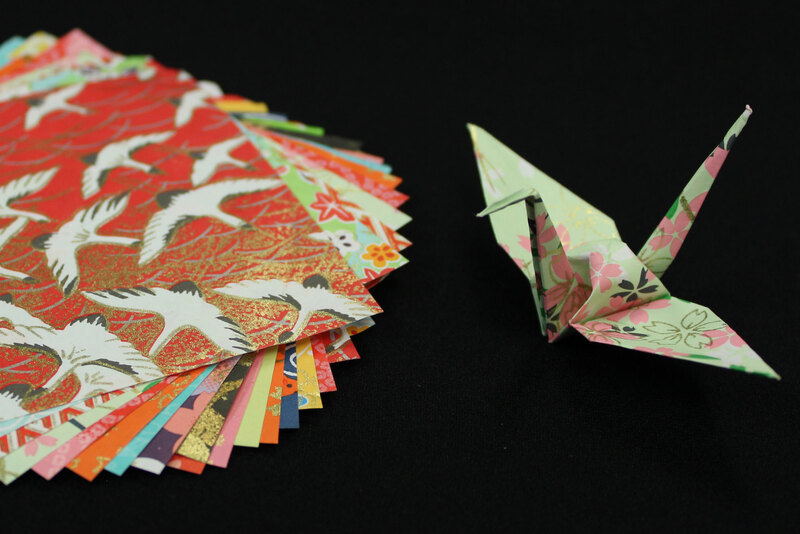 Some origami paper is as beautiful as a silk kimono. As origami moves into the 21st century, it has acquired a modern edge. From classic origami such as a bird that flies or a balloon that can be blown up, to modular origami that must be connecting with other origami to be complete, there is no end to what you can create. In this modern day “renaissance” of origami, the possibilities are truly endless. These days you can find paper that sparkles and technique books on almost anything you can imagine. For the still hand and the quiet mind, origami will provide hours of fun. If precision is not your strong suit, origami can still be a great time. So get out there and try! Happy folding! A perfect gift for Dad on Father’s Day or for any grill master in the house, this stylish Indoor Electric Grill features a 1,500-watt, high powered heating element and a 14-7/8″ x 10-5/8″ extra large grilling surface. 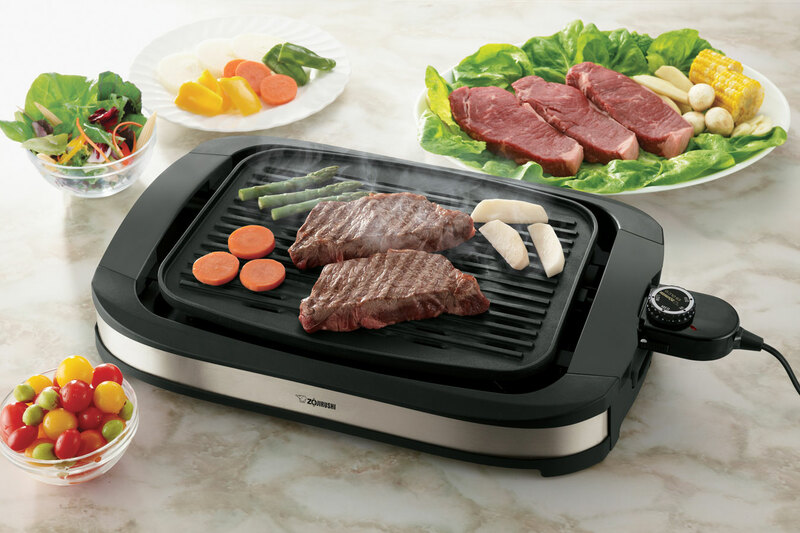 You can grill steaks, burgers and veggies all at the same time! The grill plate is protected with maximum coverage and operation is dependent on proper setup and installation, making it safe and easy to clean!